BDWS go on a canine first aid course! I am now first aid trained! 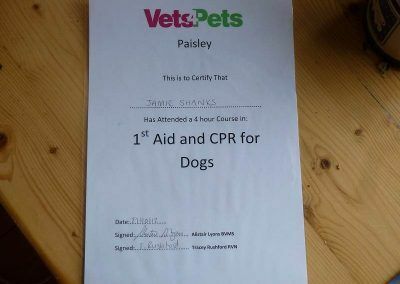 Firstly a huge THANK YOU to Vets4pets Paisley who held a canine first aid course at their clinic today for local dog walkers and other pet services! Big thanks to Alistair and Tracey, it was brilliant and I didn’t think we would have been given so much detailed info in just four and a half hours! Speaking to other dog walkers we all agreed it was an excellent course and the detail of information was just immense! Can’t thank you enough! Being a dog walker I do my best to make sure no dogs come to harm and make sure they all have a great time and come home safe! 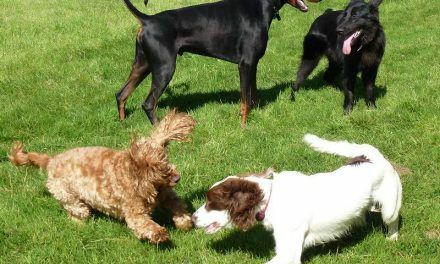 I meet loads of dog owners everyday and I’m always hearing about dogs hurting themselves or being attacked and worry how I’d cope if it happened to a dog I was looking after…what would I do?..could I manage? These thoughts have always been at the back of my mind and surface occasionally in my dreams or to be more precise my nightmares! 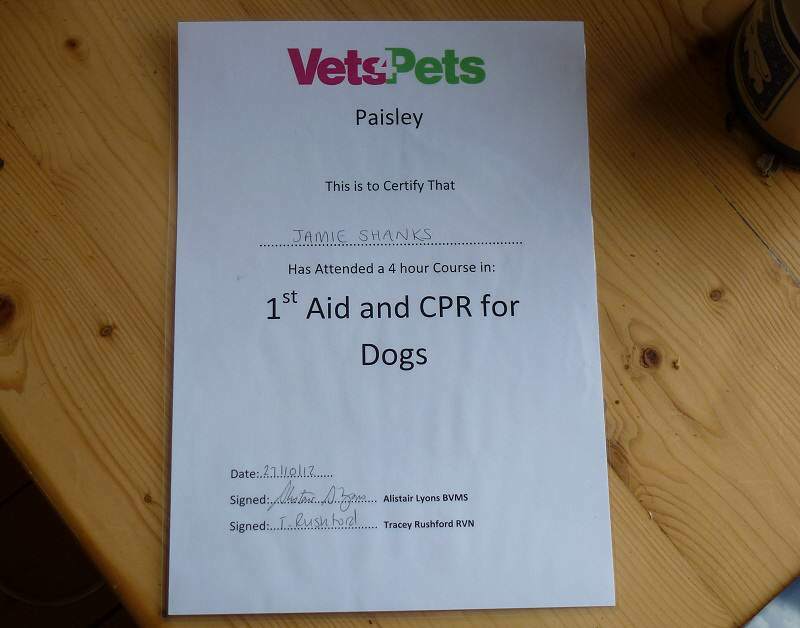 There was a certified first aid course a few months back but I couldn’t make it so with the help of Vets4Pets in Paisley we arranged a first aid course so other dog walkers (including Suzy) and myself could be prepared in case we found ourselves with an injured pet! The class was held by veterinary surgeon Alistair Lyons and veterinary nurse Tracey Rushford! Neither Alistair or Tracey have ever taken a first aid class before but I was overwhelmed by their level of preparation and thought that they put into this class that gave us so much knowledge and advice in such a short time. We even got to practise how to properly bandage wounds using teddy bears and fluffy dog toys as well as learning CPR and other life saving techniques! Afterwards we received a wee goody bag which contained a thermometer, bandages, gloves and a certificate! It’s such a relief knowing that if I found myself in a situation where a dog might need medical attention that I now have some knowledge to help! If you are in need of a veterinary clinic then I hugely recommended the Vets4Pets clinic in Paisley! 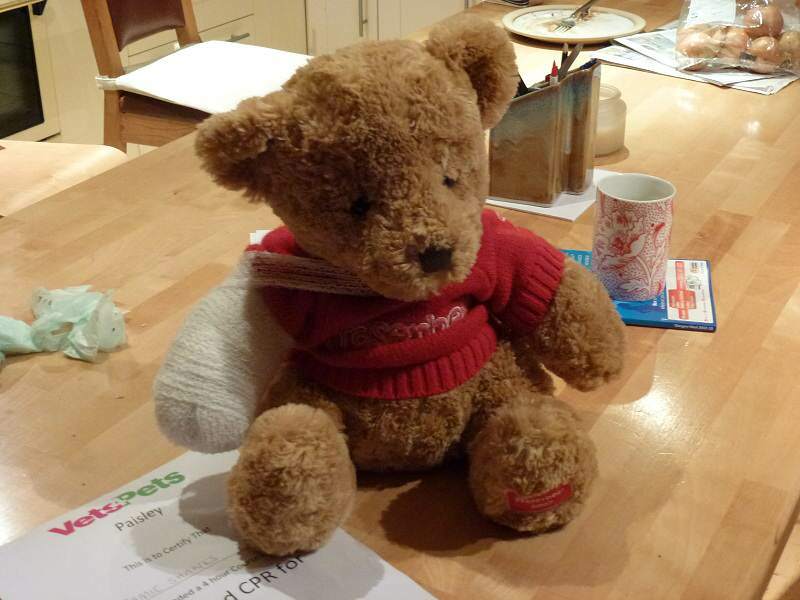 The bear I practised my bandaging on! 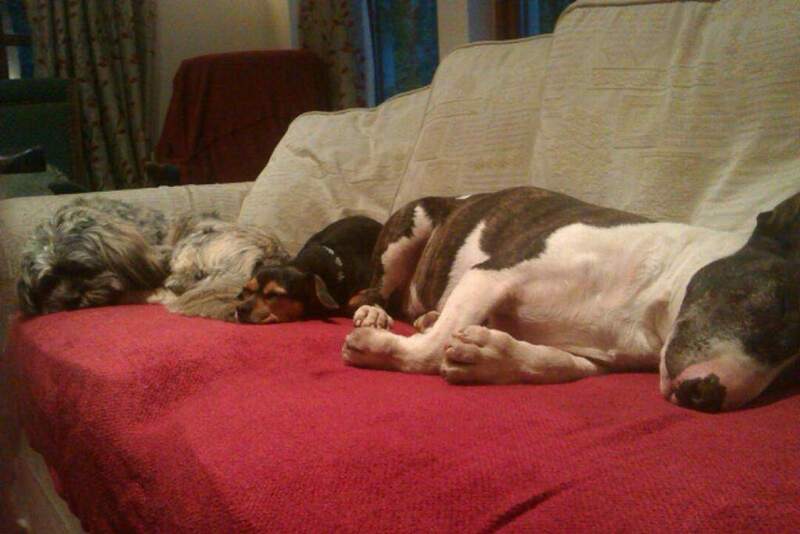 Ruffles, Chilli and Wilfred feel safer already! Firstly, a huge “Thank You” for your site. 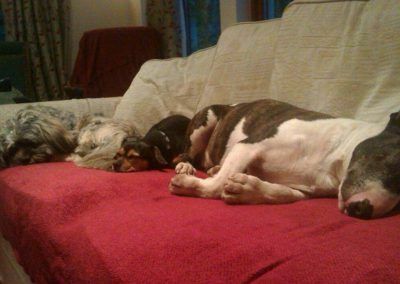 You’re a great encouragement for those of us who are just setting out as dog walkers. 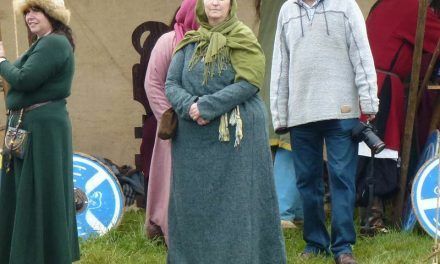 Would you mind saying how much you paid for this course and how many attended? 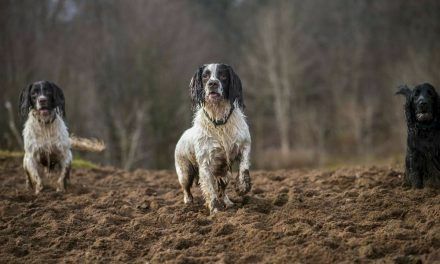 I may have a word with some of my local vets and fellow dog walkers to see if we could do something similar doon here. The course was free! Amazing huh? There was a certified canine first aid course but it was about £80 and on a weekday. It was too expensive for me at the time and nor could I afford to give up a day’s wage, so I remembered that a local vet had emailed me last Feb to invite me to a cheese and wine evening as they had just opened. 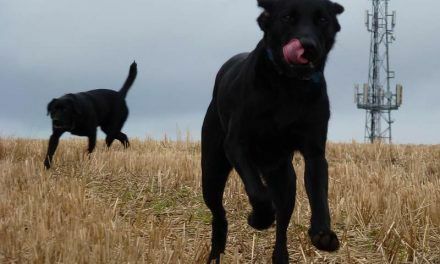 I decided to email them back and asked them if they’d arrange to do a free first aid course in exchange that I and other dog walkers who went put up a wee logo on our homepage that we were first aid trained by vets4pets paisley which would help promote them. So are there any new vets that have opened near you?